The optimal choice and dedicated solution will certainly help you to achieve the level of success. Blogs have their own definition these days as they have some platforms being used for publishing and content managing. Blogger, WordPress are two most popular blogging platforms around the world. Some blogging solutions are free and some need professional hosting. 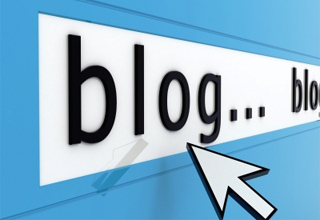 These blogs are post-depending publications and they have a regular blog roll. Different categories and subjects come up in these blog posts. A website is dedicated to specific subjects under a few specific categories. The posts are updated regularly and the contents are freshen up regularly. However, you can use the blogs and websites for the same purpose. You have to optimize your blog or, your website according to your needs and business demands. Now, a professional maintains his websites and blogs in a different way. They are highly dedicated to their site and their businesses. They give time for their online ventures accordingly as they would give in their offline ventures. You have to know that a professional level of business success can only be achieved by a professional mind set up. Consider the first look for your website, this makes sure that you get your visitors rising up high. You should regularly update all your websites and blogs and maintain the content level High quality and fresh. The visitors and also the search engines are fond of sites that are constantly restructured. Besides you should check through the contents, grammatical errors and the link continuity. You should consider a good cover page with the most expected level of customer satisfaction. Welcoming with high quality content will help you generate more subscribers. Higher number of subscribers means increased amount of business. So, you should build the list first and you will definitely find success online. When you are looking forward to start a business online that means you are trying to establish a site or, a blog- you have to be professional. You have to research your subject; you have to stay ahead of your competitors. You have to create your plan, think about the alternatives and then imply your ideas. Without generating a competitive idea, you cannot find success online. So, keep your eyes on the online businesses and you can keep your steps ahead. This is how you can meet the level of expectation and reach your international target market.